· For most of the application sample gas is cooled and dried inside the sampling conditioning systems to avoid the Heated Sample Line. Applied Techno Systems : The Pioneers Of Air Pollution & Stack Emission Monitoring systems In India (TUV Approved)The Applied Model ATS 208A Continuous Emission Monitoring System is designed to meet the needs of organizations requiring cost effective and reliable multiple gas analyzer solutions. The technology employed are all tried and tested to ensure the user experiences maximum reliability and accuracy. With years of experience and knowledge in this domain, we are engaged in offering an excellent range of Online SOx Gas Analyser. This analyzer is thoroughly manufactured at our advanced manufacturing unit using the best quality raw material and innovative technology in observance with defined quality standards. 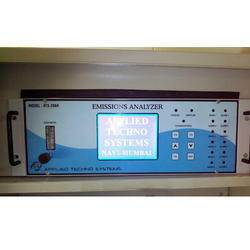 This analyzer is used to clean and dry the gas sample for accurate and high performance operation. Being a quality-oriented organization, we assure our clients that this analyzer is excellent on counts of durability and quality. 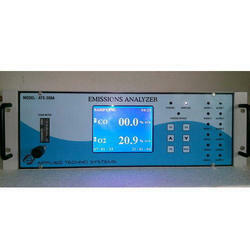 Model ATS- 208A Emission Analyzer continuously monitors the concentration of SOX ,SO2 PPM level. Feature includes a duel wavelength sensor, Remote Sampling, Graphics LCD Display, adjustable level relay output for alarm and 4-20mA output for control purpose and minimal maintenance. 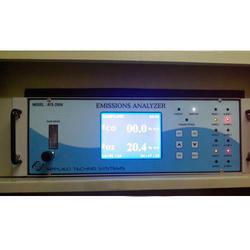 Model ATS- 208A NOX Analyzer continuously monitors the concentration of gases ranging from 100%V/V down to PPM level. Feature includes a duel wavelength sensor, Remote Sampling, Graphics LCD Display, adjustable level relay output for alarm and 4-20mA output for control purpose and minimal maintenance. Special gas sample Conditioning systems are used to clean and dry the gas sample for accurate and High performance operation. An Internal Pump draw gas sample into the sensor through a dust particle filter from an intake which can be located at distance up to 100 meter form the monitor. Being a quality driven organization, we are actively committed towards offering quality assured NOX Gas Analyser that is continuously monitors the concentration of gases ranging from 100%V/V down to PPM level. 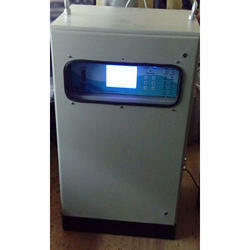 The offered analyzer is precisely manufactured using best grade raw material and advanced technology. We assure our clients that our range is quality examined against predefined quality parameters, in order to meet international standards. Apart from this, our esteemed clients can avail the entire range, as per their needs, at reasonable price. 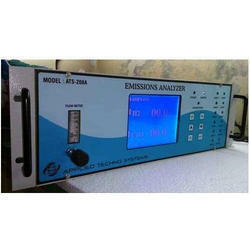 Leveraging on our industrious professionals, we are offering a supreme quality range of Online NOX Analyzer. 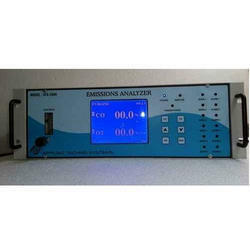 We have hired a team of deft professionals, who manufacture and finish this analyzer as per their applications in industries. 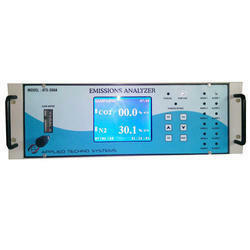 Our offered analyzer is capable of continuously monitors the concentration of NOX PPM level. Tested against various quality parameters, this range is broadly demanded in chemical industries. 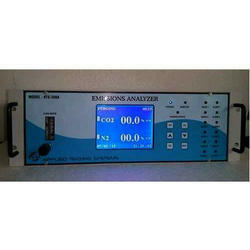 We ensure to offer this analyzer at budget friendly prices. With our vast experience in this domain, we have enabled us to serve our clients with a broad array of Online Gas Monitoring System. 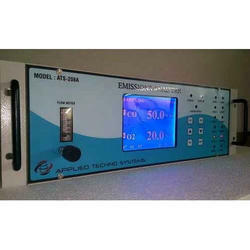 This system is widely used to continuously monitor the concentration of gases ranging from 100%V/V down to PPM level. Our offered system is precisely manufactured at our advanced manufacturing unit employing high end technology and modern equipment. Also, we deliver the entire array from our end after conducting a proper test against them. Clients can avail the offered system in various technical specifications at industry leading prices. Model ATS- 208A Emission Analyzer continuously monitors the concentration of gases ranging from 100%V/V down to PPM level. Feature includes a duel wavelength sensor, Remote Sampling, Graphics LCD Display, adjustable level relay output for alarm and 4-20mA output for control purpose and minimal maintenance. Special gas sample Conditioning systems are used to clean and dry the gas sample for accurate and High performance operation. An Internal Pump draw gas sample into the sensor through a dust particle filter from an intake which can be located at distance up to 40 meter form the monitor. 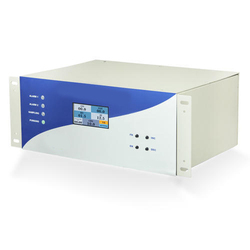 Model ATS- 208A Ammonia Gas Analyzer continuously monitors the concentration of Ammonia in PPM and other gases ranging from 100%V/V down to PPM level. Feature includes a duel wavelength sensor, Remote Sampling, Graphics LCD Display, adjustable level relay output for alarm and 4-20mA output for control purpose and minimal maintenance. 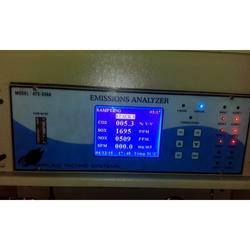 Applied Techno Systems Model ATS- 208A Online Emission Analyzer, continuously monitors the concentration of Flue gases ranging from 100%V/V down to PPM level. Feature includes a duel wavelength sensor, Remote Sampling, Graphics LCD Display, adjustable level relay output for alarm and 4-20mA output for control purpose and minimal maintenance. 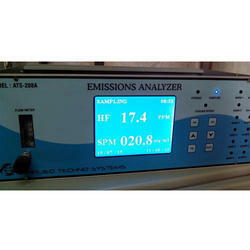 · Model ATS- 208A Emission Analyzer continuously monitors the concentration of HF ranging from PPM level. Feature includes a duel wavelength sensor, Remote Sampling, Graphics LCD Display, adjustable level relay output for alarm and 4-20mA output for control purpose and minimal maintenance. 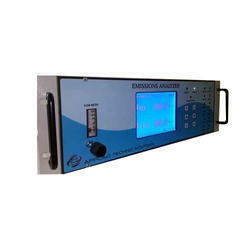 Model ATS- 208A Chlorine Gas Analyzer continuously monitors the concentration of Chlorine in PPM and other gases ranging from 100%V/V down to PPM level. Feature includes a duel wavelength sensor, Remote Sampling, Graphics LCD Display, adjustable level relay output for alarm and 4-20mA output for control purpose and minimal maintenance. We offer comprehensive range of stack gas Analyzer Portable and Continuous for the analysis of stack/flue gases in exhaust, boiler and combustion process. Model ATS- 206A Flue gas Analyzer measure the flue gases after placing its probe into stack or appliance exhaust and see the concentration of Oxygen (O2), Carbon Monoxide (CO) Carbon Dioxide (CO2). Efficient combustion also reduces emission of pollutants such as nitric oxide (NO), nitrogen dioxide (NO2), sulphur dioxide (SO2), and particulate matter. 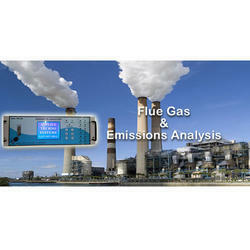 A gas analyzer will also help measure various gas pollutants in the exhaust for environmental reasons. The ATS -208A oxygen analysers have numerous applications in processes requiring the precise measurement of oxygen level. In ppm or % levels, safe areas or hazardous ones, in various process conditions and in differing backgrounds there is a ATS – 208A configuration right for your needs. Options include a choice of outputs, AC or DC versions, alternative oxygen cells or sample conditioning. Oxygen is measured in a wide variety of processes, to confirm its presence or absence. The most common application however is measuring oxygen as an 'impurity' in other gases, e.g. 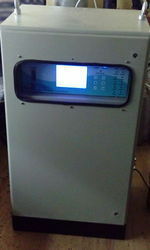 nitrogen generators. Oxygen is required in aerobic processes and also in situations that require user intervention, e.g. to ensure that it is safe to enter a chamber for maintenance work. Some processes will only run efficiently in the absence of oxygen, e.g. furnace atmospheres; others just require a low level of oxygen for safety reasons, e.g. inert gas blanketing. Different electrochemical cells are available to suit the application. The standard A cell has a broad range from high ppm to 50% oxygen. The ‘B’ cell is designed for accuracy at low ppm levels; it will also work at % levels (with a shorter lifetime). The ‘C’ cell is designed for use in % levels of oxygen in the presence of mildly acidic gases, e.g. carbon dioxide, while the ‘D’ cell is perfect for low ppm oxygen applications where hydrogen is present. Applied will be pleased to advise on which cell is most suitable for an application. Different sample conditioning systems are available, standard or bespoke, according to the process conditions. Filters, pumps and regulators can all be incorporated to deliver the sample in the correct condition. Bypass flow systems enable longer distances from process to analyser to be achieved. Applied engineers are ready to recommend the right system for you on receipt of the full gas stream specification. For hazardous area applications the sensor may be mounted remotely in the hazardous area and safely connected via an zener barrier to the electronics unit in the safe area. Alternatively the electronics unit can be supplied in an Explosion proof enclosure.